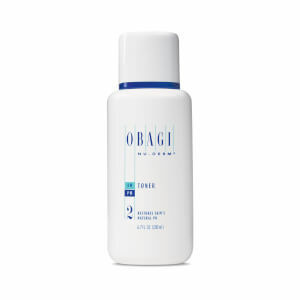 Your Transformation begins with a soap-free cleanser that gently removes impurities, oil and makeup to leave skin clean, fresh and ready for the next step. Apply to wet face, rinse with lukewarm water and gently pat dry. Avoid rubbing the skin with a towel. For AM/PM use. Purified Water, Sodium Lauroyl Oat Amino Acids, Cocamidopropyl Betaine, Sodium Laureth Sulfate, Aloe Barbadensis Leaf Juice, Medicago Sativa (Alfalfa) Extract, Borago Officinalis Extract, Chamomilla Recutita (Matricaria) Extract, Sodium Chloride, Xanthan Gum, Saponins, Phenoxyethanol, Methylparaben, Ethylparaben, Butylparaben, Propyl-Paraben, Isobutylparaben, Fragrance, D&C Red No.33, Fd&C Yellow No.5. Works perfect for my oily skin, leaves my skin feeling nice and fresh. While package isnt the most comfortable to use (if it wouldv had a pump, would be perfect) its all worth it because of the quality of the product! Being completely honest I wasn't blown away by the packaging but when I tried the product I realised that the value is all in the ingredients! This was fantastic for my sensitive skin, it removed the most stubborn makeup but was not harsh/ make me break out! This product leaves your skin feeling fresh & hydrated. Has helped my skin a lot. Love this so much, it's my go to. It breaks through my makeup and even waterproof mascara easily and my skin feels so clean after I use it. Love that it's foaming, it feels even more gentle on the skin. Great product! This cleanser is so good, it does not leave my face squeaky clean...which is what you do not want from a cleanser. Leaves my face feeling soft and refreshed, I love it! I buy it time after time.